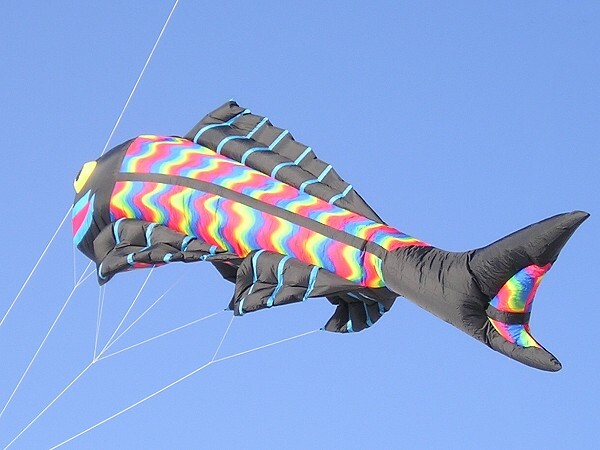 This impressive Giant Fish is a great wind inflated creation from German designer Juergen Ebbinghaus. It will fly very well as a kite, with no "lifter" and gently swims back and forth above the ground. 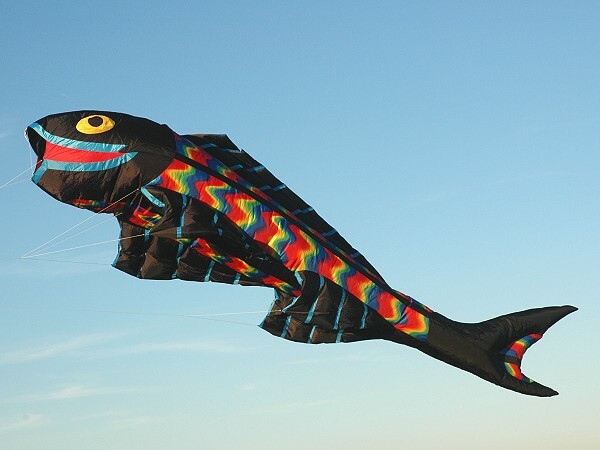 For a higher angle of flight, one or two Giant Fish can be suspended below a suitable "lifter" kite. This is one of the easiest inflatables we've flown and its' stable flight characteristics are very satisfying.